01.03.2015. London, England. Capital One Cup Final. Chelsea versus Tottenham Hotspur. 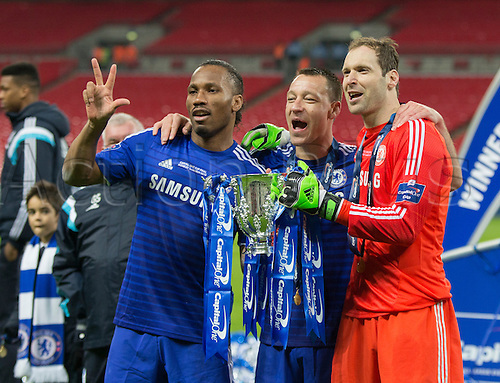 Chelsea's Didier Drogba, John Terry and Petr Čech with the trophy.